Councils in England will be given a share of more than £200m (US$224.5m) for road maintenance and pothole repairs as part of new UK government funding that could resurface more than 1,000 miles (1,600km) of road. UK Transport Secretary Chris Grayling has announced the allocation of an extra £50m (US$56m) for councils for potholes and flood resilience, as well as £151m (US$170m) to reward examples of councils’ best practice. These funds come from the £6.6bn (US$7.4bn) the UK government is providing in the six years to 2021 to improve local roads. As part of the government’s work to prevent potholes in the future, the Department for Transport (DfT) will fund early-stage research into new surface materials or pothole repair techniques, such as 3D printing. A digital hub will also be set up for experts to share and develop innovations. The new investment is on top of the £725m (US$813.5m) local authorities will receive in 2019/20, based on the infrastructure they maintain, including length of roads, number of bridges and street lights. The DfT says road users are already seeing the benefits of extra funding for road maintenance, with £420m (US$471m) spent in the past six months on resurfacing, pothole repairs and bridge renewals. Several local authorities have also bought new pothole repair machines, such as Dragon Patchers and JetPatchers, to help fill holes and other mend other pavement defects quickly. 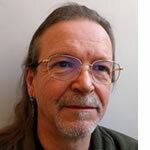 • A review of road condition surveying data and technology that will seek views on the current methodology used to monitor road condition, as well as how councils and the wider sector can harness new techniques to improve local roads and infrastructure. 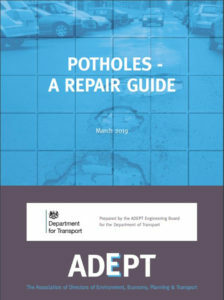 The DfT has also published a new guide on best practices in pothole repair, developed with the Association of Directors of Environment, Economy, Planning and Transport.